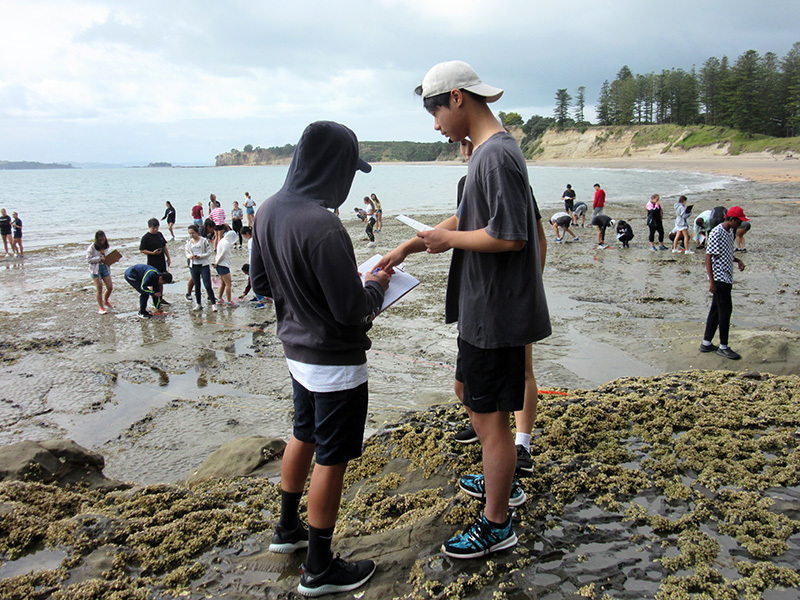 The Level 2 Biology students visited Motuihe Island on 18 March in order to gather evidence for an internal assessment. 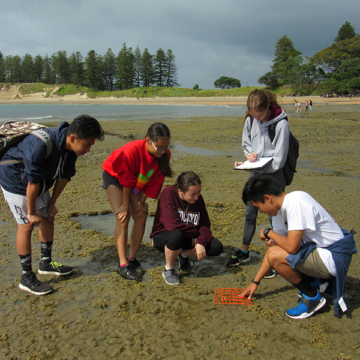 The aim of this investigation was to find out if a pattern of zonation exists in the intertidal zone of the rocky shore community. 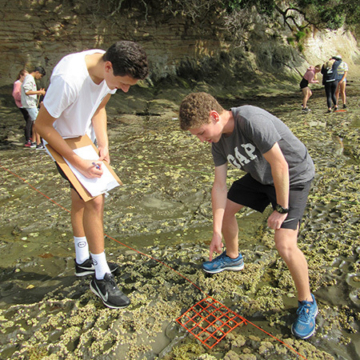 It was a beautiful, sunny day on the island and students enjoyed the experience of observing the rich and abundant life on the rocky shore. 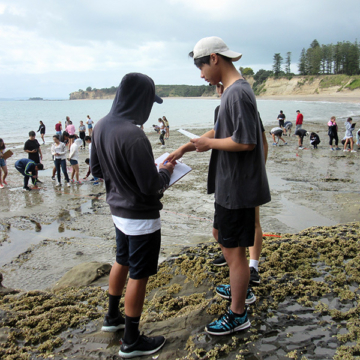 The day was a productive one as students placed their quadrats on the shore and counted species numbers. 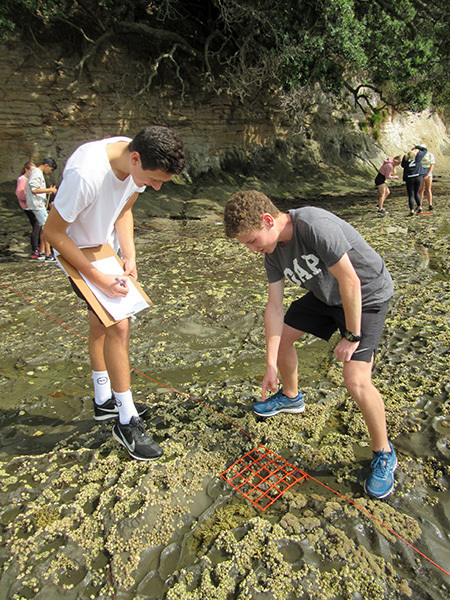 Environmental readings like salinity, pH of water and light intensity was also measured. This data was taken back to the class, processed and then reported on. 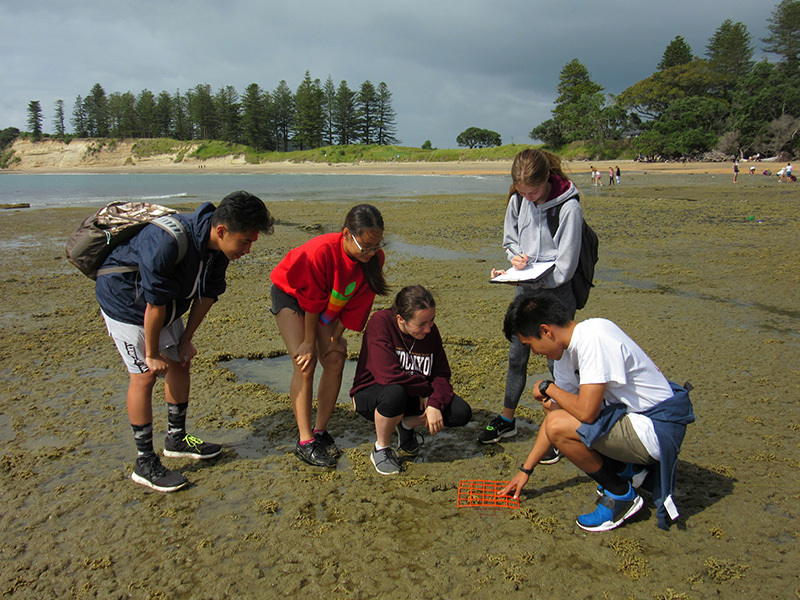 This trip is always one of the highlights of the Level 2 Biology course.